He is the first Lok Sabha MP to leave Trinamool Congress and join BJP. 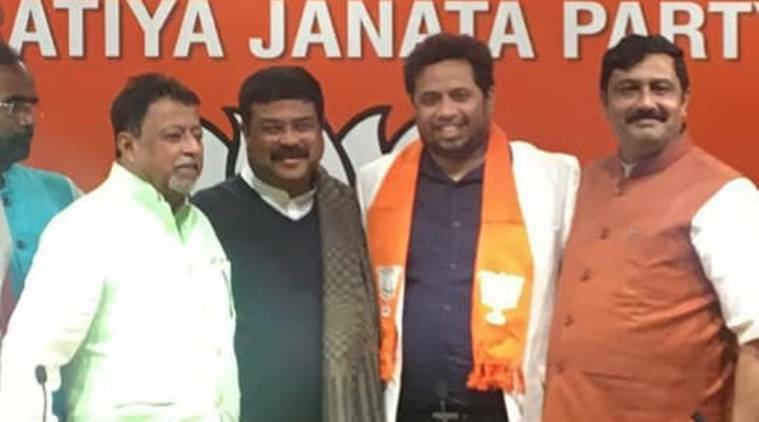 Earlier in November 2017, Mukul Roy, once number 2 in TMC, had joined the saffron party. Khan’s move comes a day after he alleged that a section of officers of the district police was hatching a conspiracy against him through social media. Khan joined the BJP at the party headquarters in Delhi in the presence of Union Minister Dharmendra Pradhan, BJP national secretary Rahul Sinha and senior party leader Mukul Roy. He is the first Lok Sabha MP to quit the TMC and join the BJP. In November 2017, Roy, once ‘number two’ in the TMC and a Rajya Sabha MP, joined the BJP. Khan is known to be close to Roy. While Saumitra Khan's move to the BJP may boost the confidence of grassroot-level party workers, it is unlikely to have a significant impact on TMC's prospects in the Parliamentary polls. Party chief Mamata Banerjee's image and TMC's strong grassroot-level organisation are believed to be the reasons behind the victory of Khan and Anupam Hazra in the 2014 Lok Sabha polls and unless the BJP is able to lure more popular TMC leaders into its fold, there won't be much impact on its prospects. “There is a syndicate raj and police raj in Bengal… The law and order situation of Bengal is deteriorating day by day and Trinamool Congress is supporting goondas,” Khan said. “What is the definition of ‘anti-party activities’? I hope they tell me. How can writing on Facebook on contemporary issues be dubbed as ‘anti-party activity?’” said Hazra. “For nearly a year, he (Khan) was seen posting statements on social media and getting involved in some activities which the party did not support…. He had no relation with the organisation. We have also decided to expel Anupam Hazra… for similar anti-party activities,” TMC secretary-general Partha Chatterjee said.